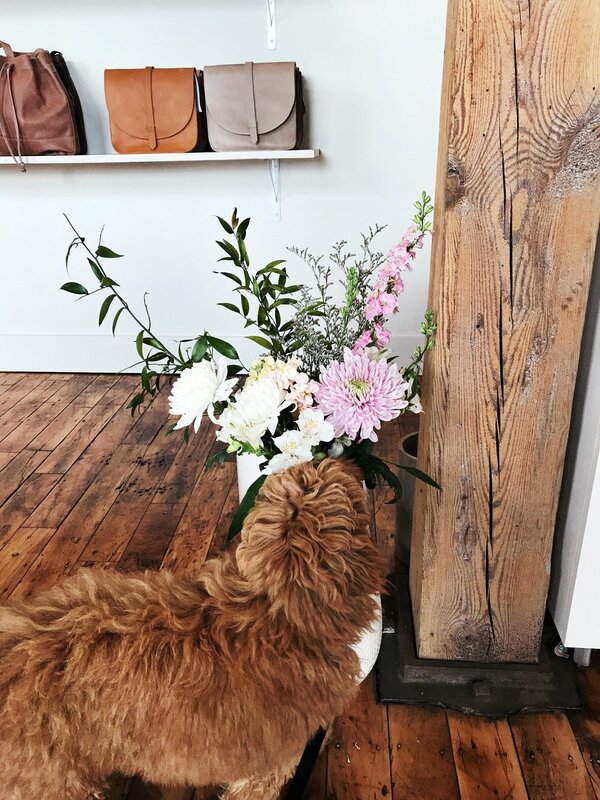 Today I’m excited to share some ethical fashion brands you all might have not heard of, or maybe you have and just want to know more about them. Whenever I have a “hole” in my closet, I often try to find an ethical fashion brand that could fill it. Quality over quantity is the key in this post. I recently learned that Athleta was a B Corp, which is a responsible, accountable way of doing business, so it’s been so fun to know that a store that you can shop at in the mall is making strides to do better business — not to mention their sale section is where it’s at! If you are ever shopping for quality, sustainable swimsuits (one pieces, bikinis, mom & me, they have it all! ), Albion is your place. Their suits are handmade in Guatemala, and they are so well-made and stylish. I love all the patterns and how confident they make me feel. I heard about Patagonia’s business practices on NPR’s podcast, “How I Built This,” and I was blown away by what I learned. 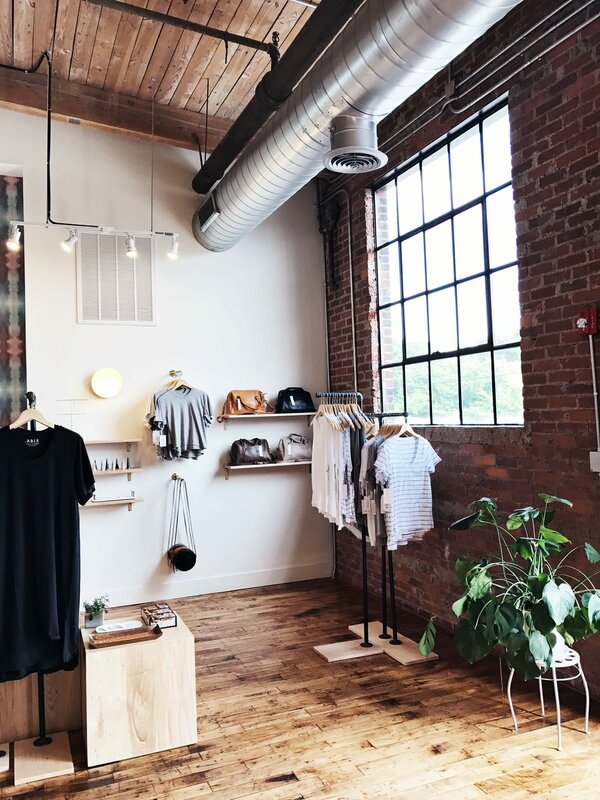 Not only do they use fair-trade business practices, they care so much about the environment that they are trying to change the fast-fashion industry by offering a lifetime warranty on all their clothing. You can ship your Patagonia (even if bought second-hand and you don’t have a receipt) to them and they will patch it, fix a zipper, etc. on your items and then ship them back to you just to extend the life of your products. Talk about amazing. That will definitely keep me coming back, and I also just love how timeless their pieces are. P.S. They have a great 50% off sale twice a year and it’s usually when I make my Patagonia purchases. I found Marine Layer via Google while searching for a fun, unique gift for my husband. I was first drawn to their charity T-shirts that change a few times a year, but they also have great staples for men and women. 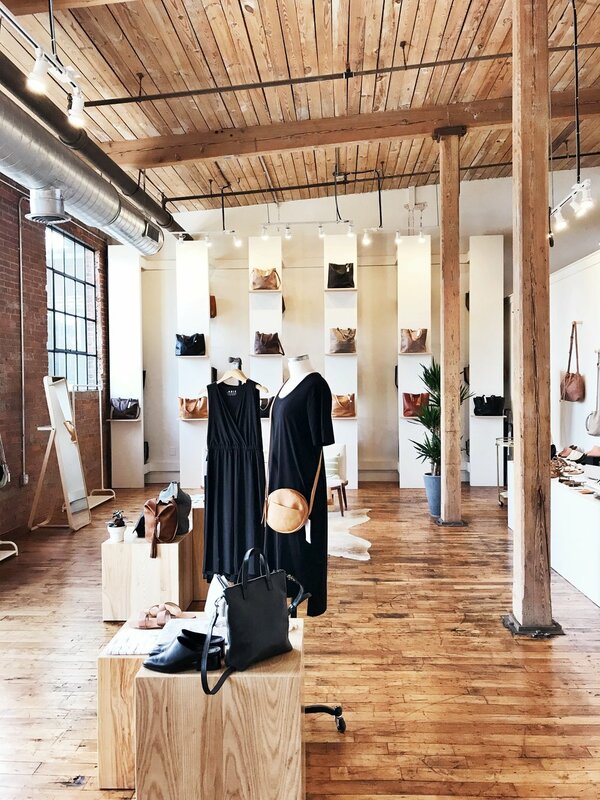 They have many locations around the U.S. and I even got to visit them in Chicago — I highly recommend finding a store to see their quality for yourself. I have yet to purchase anything from Amour Vert but I have a serious crush on them. If you ask me, they are the Zara or Anthropology of the sustainable fashion industry. Their pieces are stunning and so well designed. When I have a need for a quality, well-made dress, Amour Vert will be the first place I look. For my last recommendation, I wanted to share about Faherty. Even though I have also yet to personally purchase from them, a friend of mine has and raves about them. They have great flannel and outdoor pieces. If there is a specific piece you like but it’s not in your budget, I recommend signing up for their email newsletter — you can find out about sales and promotions, like the great deals they had this past Christmas. I’ll never tire of writing about Everlane. They have brought so much value to me, I can’t write an ethical fashion post without mentioning them. From my personal wardrobe to work attire, they have everything, including underwear that I am currently loving. And, all of their products are so well made and the quality is great. ABLE has recently been renamed from FashionABLE, for those who know that name, but they are a longtime favorite of mine. 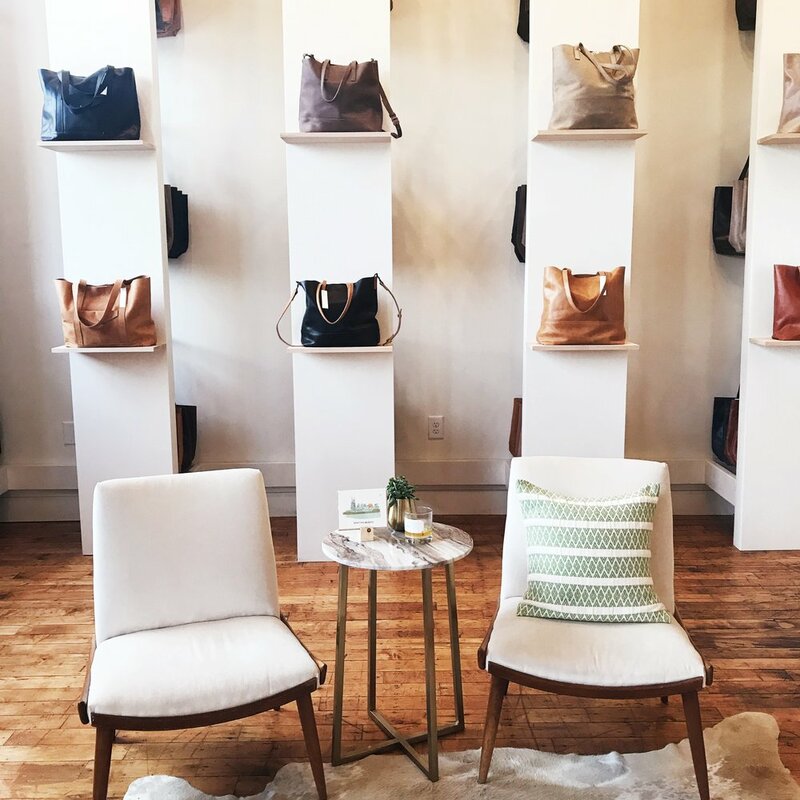 They are a Nashville-based company that got started with making beautiful leather purses, but they now have recently started lines of clothing, shoes and jewelry. Their mission is to empower women to believe they are capABLE. I’ve had their black bucket purse for 3+ years, as well as their flats for work and their sandals, and they all still look incredible — so I highly recommend ABLE for yourself or for gifts.